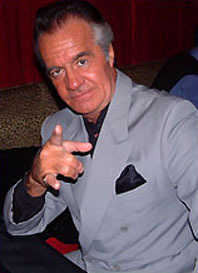 Actor Tony Sirico who is known for his portrayal of “Paulie Walnuts” Gualtieri on the legendary The Sopranos, has been officially cast in Woody Allen’s next movie. Sirico will play a man named Vito in the Oscar winning director’s untitled feature, which is being kept under wraps. The movie is also set to star Parker Posey, Blake Lively, Kristen Stewart, Jesse Eisenberg, Bruce Willis and a few others. This is not the first time Sirico has been in a Woody Allen film as he has made appearances in Deconstructing Harry, Everyone Says I Love You and Bullets Over Broadway. Currently the plot of the film is still unknown.